Our friends at The Good Life are once again joining Burton to help us kickoff another preseason, the way they only know how. Another slice from that pie you like so much… Ol’ Burton Video Premiere Party… Let the legend continue! 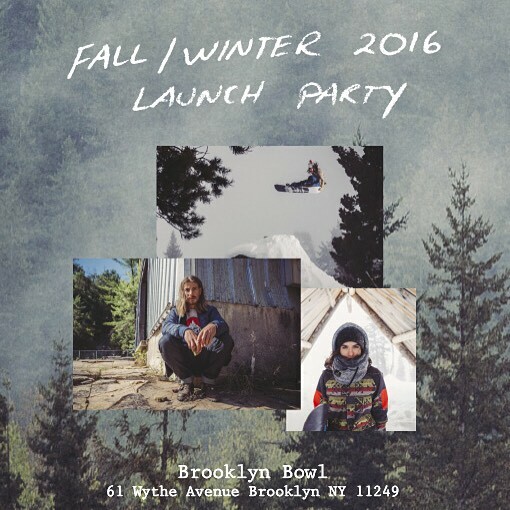 Get out to the Burton NYC Flagship Store and meet the Burton Team, Thurs. Sept. 17th from 5-7pm. You’ll have the chance to be the first to check out the newest addition to the Burton board line – “The Family Dog”!!! Have some drinks, meet the crew, and get stoked for winter!!! There’s no better way to pregame for the launch event! The premier this year is being billed as “The Best of Burton Presents”… so what does that mean? Much like the conditions on the mountain, you won’t know unless you go!!! “Burton Presents” was last year’s premiere and it was well worth presenting. I guess if you are going to present the best of presents, then there’s no better place to do it than Brooklyn Bowl! We’re looking forward to some surprises, and you know the party is going to go off, so get your game together and come join us! When you get all that energy together in one place, the only thing you can do is let loose… Enter the legacy of the event. The reputation for the Burton NYC Video Premiere Party precedes itself, and with the guys at The Good Life helping throw their annual event, you can be sure it won’t disappoint. • One Hell Of A Good Time! This is an event you don’t want to miss. So be sure to get there EARLY, as entry will be granted on a first come/first serve basis, even with RSVPS. Bring it on Burton… NYC is Ready!!! This entry was posted in Events, Film, Video, and Media, News, OvR Shout Outs, OvRcrew. Bookmark the permalink.